Elli beach: Just under the historical Casino of Rhodes lies one of the most famous beaches of the island, 5 minutes of walking from the central bus station. You will find plenty of sunbeds or beach bars along with an in-sea jumper to test your free diving skills and braveness! Although it can get super crowded from 12-3, just next to it you can visit the Aquarium Beach or Kato Petres beach for a more isolated and spacious scenery. 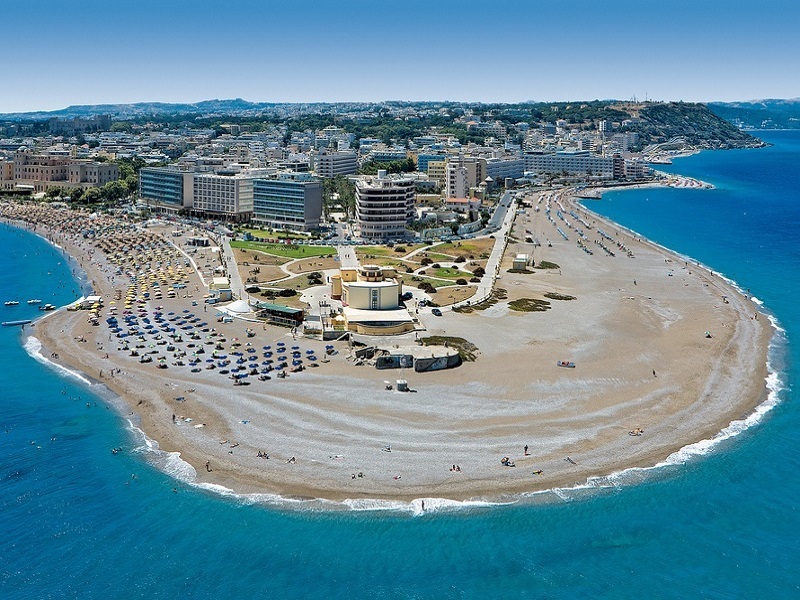 Faliraki beaches: Tens of small or wide beach areas, crowded or not depending on how close you want to be in the big 5* hotels and their private beaches. Many different kinds of watersports to choose from. Antony Quinn Bay/ Charaki/ Agathi / Tsampika Beach. This quattro of beaches can be visited in one day and you can easily change one for another if you find the place too crowded or isolated. They are spaced within 20min distance by car, offering similar type of sand and low water depths. 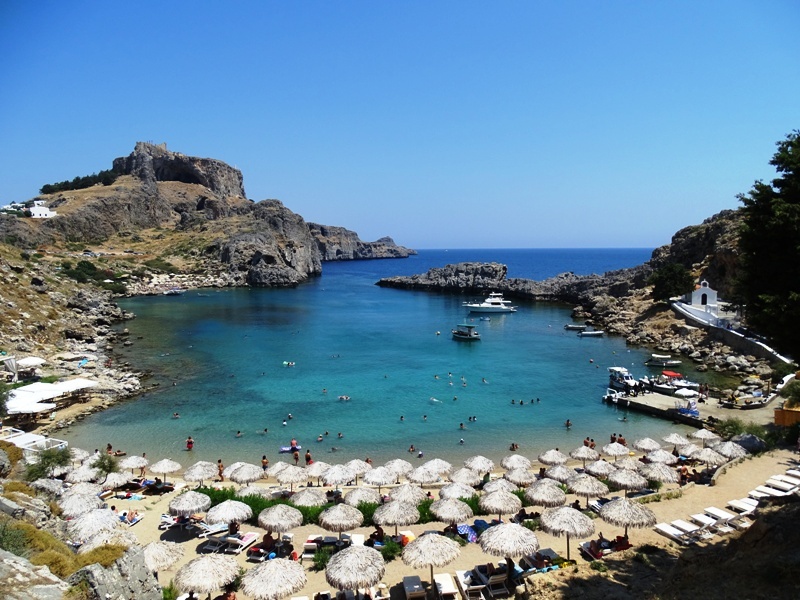 Lindos beach and St Paul’s Monastery Beach is pretty close too but can become extremely crowded. Traganou Beach. One of the few chances that you can have a small cave just meters from the sea shore, stone only (no sand) and crystal clear but deep waters. The only place that gets busy is the part under the restaurant, with the rest of the beach being a completely wide area to roam and practice some swimming laps alone. Gennadi Beach. One of the most isolated and clear beaches of the island, with the only negative of being around 70 km away from the center. Ideal for night swimming, or “fireplace with guitars” kind of nights for our romantic swimmers. Bonus places: The whole southwest part of the island (Airport-Prasonisi sea line) is extremely isolated and quiet with the only 2 drawbacks being their distance from the east side and the “messy” but still clear waters due to the winds and waves. Whichever one you pick for each day, we are sure that they won’t disappoint you. Rodos’ beauties can surely satisfy even the pickiest of adventure seekers or calm spirits ;).